Comment: Four opaque emerald crystals sitting on top of a solid matrix of quartz and slate. Here is a rare opportunity to see first class emerald hue: An intense, nearly unearthly, green - way beyond even the deepest green in plants. 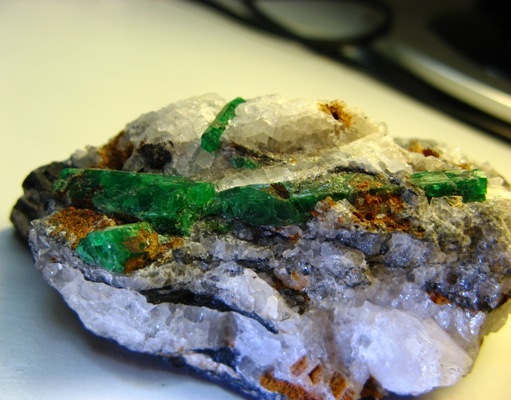 A must for any collection of minerals: Emerald in its natural habitat. See close-ups into the green.